Ryanair is facing enforcement action from the UK Civil Aviation Authority (CAA) for “persistently misleading passengers” about their rights, after 34 routes were suspended and a second wave of flight cancellations, affecting 400,000 passengers, was announced. In a letter to the Dublin-based carrier, the CAA stated that the airline’s CEO, Michael O’Leary, was wrong to tell passengers last week that the carrier is not legally obligated to arrange new flights. The CAA said that Ryanair had further transgressed when it announced fresh cancellations by failing to tell passengers that they could be re-routed with other airlines, the Guardian writes. Ryanair also failed to include any information about its obligation to refund additional expenses incurred as a result of the cancellation, such as meals, hotels, and transfer, the CAA said. The airline regulator asked Ryanair to correct any misleading statements, and invited the airline to attend a meeting to resolve the issue, warning that legal action could follow if it is found to have breached consumer protection laws. 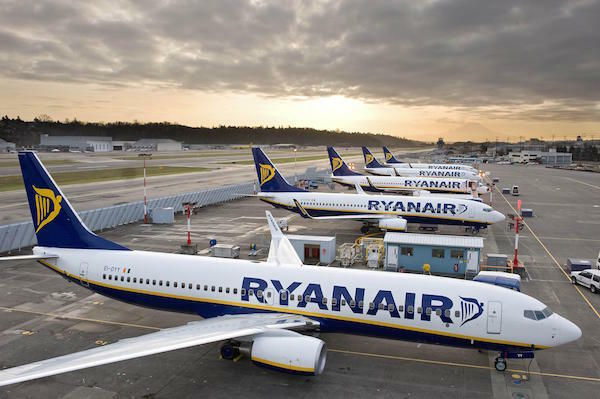 Some analysts believe that the CAA’s “exceptionally strong” language suggests Ryanair will be hit with a punitive fine, the Business Insider reports. The regulator issued the warning as Ryanair announced it would scrap 18,000 flights on 34 routes between November and March, a move which is likely to affect over 700,000 bookings. The news follows the airline’s plans earlier this month to cancel up to 50 flights a day until 31 October, affecting 315,000 passengers.